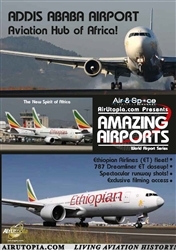 Enter exclusively with Air Utopia to Addis Ababa, one of the major hubs of Africa and home of Africa's Leading Airline by Skytrax (2013) - Ethiopian Airlines. 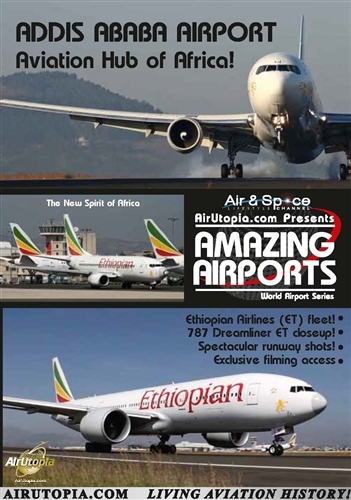 See the Ethiopian Airlines fleet including their brand new 787 Dreamliner, 777s, 737 NGs and domestic regional fleet as the New Spirit of Africa continues its rise. Addis Ababa is a 7,656 foot high altitude airport and with this comes long picturesque takeoffs witnessed from the runway threshold. Join us and witness a new force in African and global aviation!